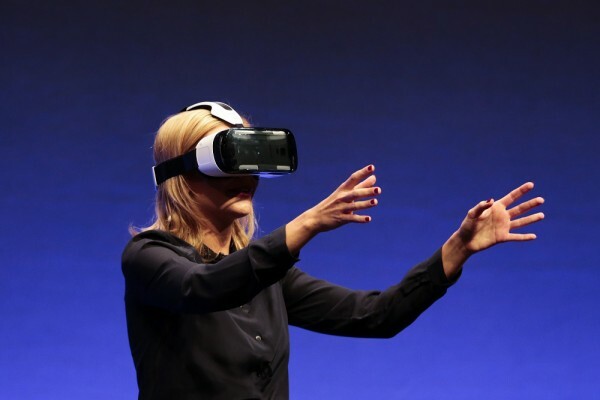 Virtual reality coming to journalism? Virtual Reality (VR) continues its pervasive ascent. But it’s more than VR video games or VR movies where one purposely suspends cognition for entertainment purposes. In the past two years, the idea of “immersive journalism” has been barnstorming the newsroom. Nonny de la Peña is considered the Virtual Reality pioneer; she created the very first VR “journalistic” story called Hunger in Los Angeles. She was also commissioned by the World Economic Forum to create Project Syria, a VR piece about child refugees in Syria which debuted in January, 2014. “That means AP will use AMD technology to create media that can be viewed in virtual reality with VR headsets such as the Oculus Rift and the HTC Vive. The collaboration shows that the immersiveness of VR could profoundly affect the way that news is delivered to increasingly tech-savvy audiences… But for VR to live up to the expectation of being a $30 billion market by 2020… usage will have to spread beyond those sectors. Having billions of people with their eyes and head covered, locked and loaded into an Occulus Rift device believing they see something that isn’t actually physically there “feels” much more than problematic. Watching people with these devices on their heads afraid to bump into something that isn’t there is, well, crazy. Isn’t journalism supposed to be about absolute reality? I guess when the scientific dictatorship determines that the sheep are ready to be swallowed up whole, devoid of reality or any truth, it makes sense logically, that these devices will soon be mainstream. Gee! If we blend Virtual Reality (VR) and Artificial Intelligence (AI), what do we get? Virtual Artificial Reality Intelligence? Artificial Reality Virtual Intelligence? How about a reality that is artificial and an intelligence that is virtual? This logic reminds me of the statement upon which all GMO foods are regulated in the U.S. – genetically engineered food is “substantially equivalent” to real food. No it’s not. One kills; One gives life. Reality is not Virtual. Intelligence is not Artificial. Not now, not ever. Unless you’re the brotherhood of darkness. And their time is just about up. The way you get empathy and understanding is not by wearing a computer device on your head and covering the windows to your soul. But I’ll just bet this “empathetic” marketing tactic will be a prominent sales tool, even though it’s abundantly clear that technology creates people who are more disconnected than ever. They want to turn everyone into a droid, don’t you know? What remains interesting about all this virtual reality is the fact that the production depends on an authentic audio track, so it will be more “believable.” He who has ears to hear, let him ear.